Co-Presented with the MIT Press. How can we use digital media so that they help us become empowered participants rather than passive consumers? In his book Net Smart, Howard Rheingold shows how to use social media intelligently, humanely, and, above all, mindfully. Download the table of contents (PDF) here. Mindful use of digital media means thinking about what we are doing, and cultivating an ongoing inner inquiry into how we want to spend our time. Rheingold outlines five fundamental digital literacies, online skills that will help us do this: attention, participation, collaboration, critical consumption of information (or "crap detection"), and network smarts. He explains how attention works, and how we can use our attention to focus on the tiny relevant portion of the incoming tsunami of information. He describes the quality of participation that empowers the best of the bloggers, netizens, tweeters, and other online community participants; examines how successful online collaborative enterprises contribute new knowledge to the world in new ways; and presents a lesson on networks and network building. There is a bigger social issue at work in digital literacy, one that goes beyond personal empowerment. If we combine our efforts wisely, it could produce a more thoughtful society: countless small acts like publishing a Web page or sharing a link could add up to a public good that enriches everybody. Rheingold's talk will be followed by a conversation with Joi Ito and Mimi Ito, as well as Q&A. Books will available for purchase and signing by Howard Rheingold. 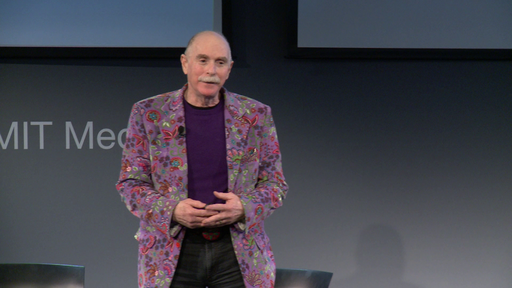 Howard Rheingold, author of best-sellers Virtual Reality, The Virtual Community, Smart Mobs, and Net Smart, editor of best-seller The Millennium Whole Earth Catalog, takes audiences on a journey through the human side of the technology-shaped future. He's been in on the Web since the beginning, and long before. He's studied Internet enterprises and started them. Rheingold was the founding executive editor of HotWired; founder of Electric Minds (named by Time magazine one of the ten best websites of 1996). He's a participant-observer in the design of new technologies; a pioneer, critic, and forecaster of technology's impacts; and a speaker who involves his audience in an adventure in group futurism. His books are published in Chinese, French, German, Italian, Japanese, Russian, and Portuguese, Spanish, and Swedish language editions, in addition to distribution in the United Kingdom, and the United States. 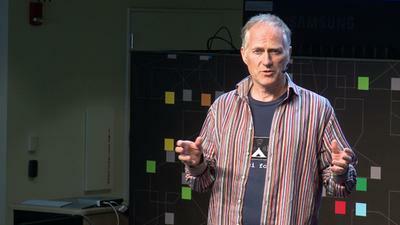 Rheingold has taught as appointed lecturer at UC Berkeley and Stanford University. He was a non-resident fellow at the Annenberg Center for Communication, visiting professor at De Montfort University, UK, which awarded him an honorary doctorate of technology degree. He delivered the invited Regents Lecture for University of California, Berkeley. Howard Rheingold in conversation with Joi and Mimi Ito.